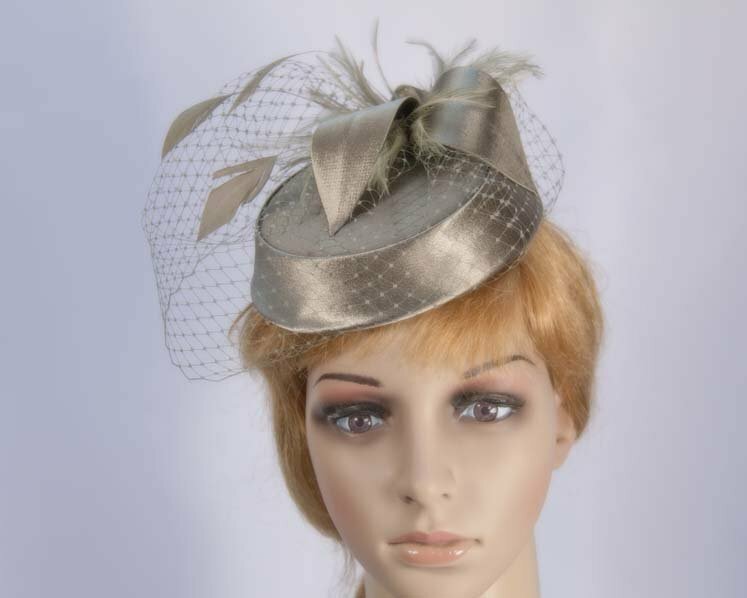 Elegant pillbox cocktail hat custom made just for you! 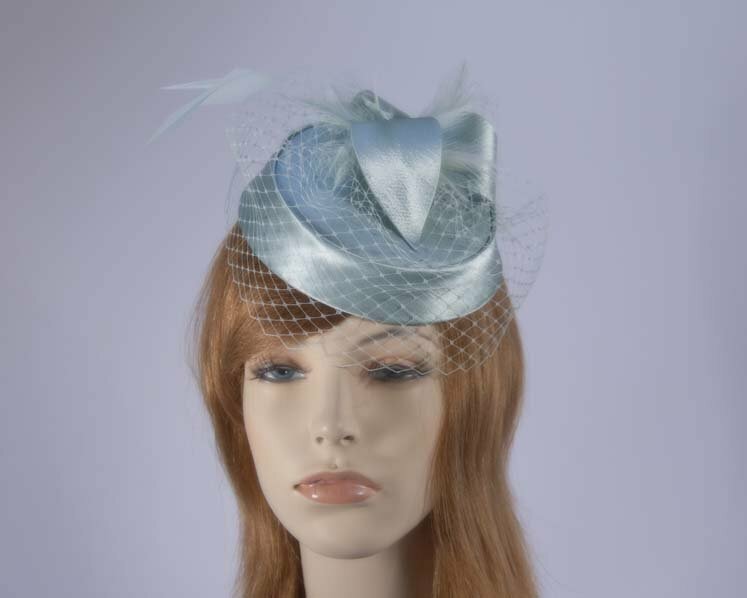 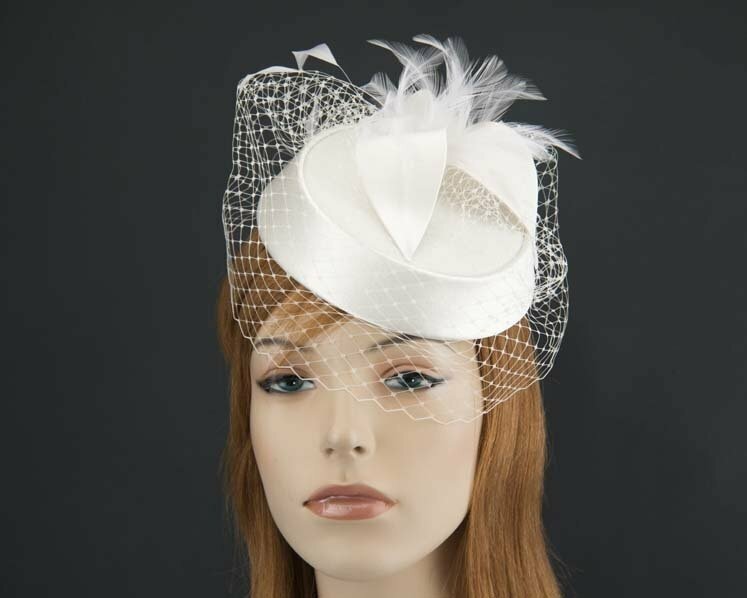 Beautiful pillbox hat with three leaf flower, feathers and netting from our beautiful range of cocktail and wedding hats. 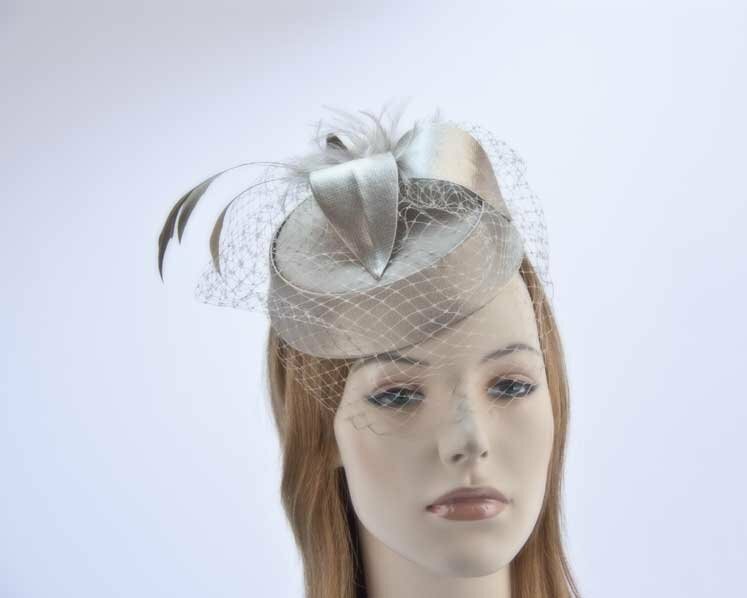 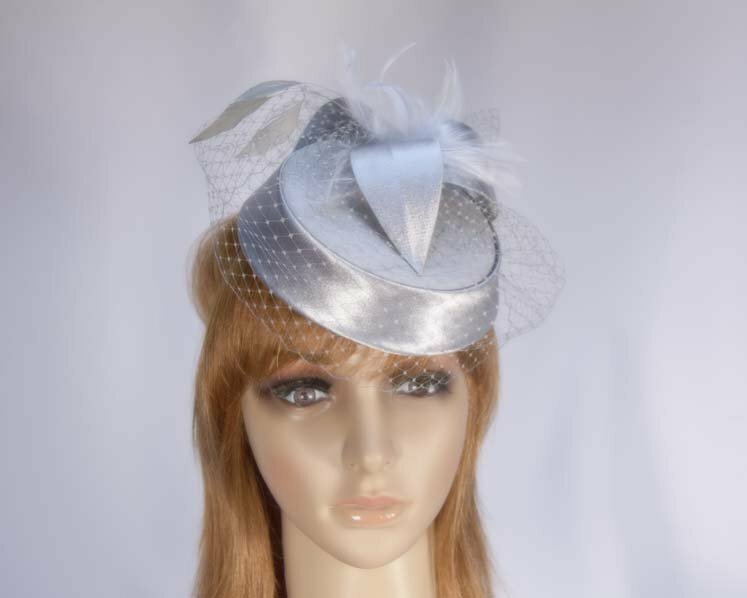 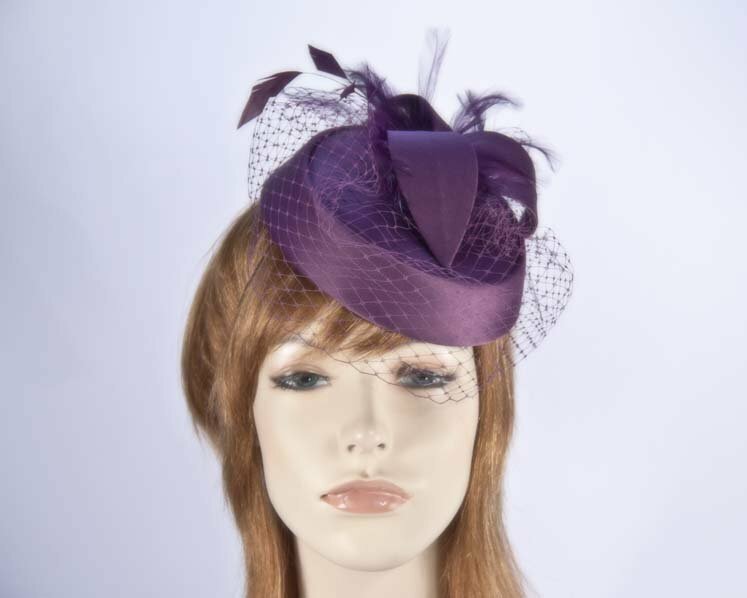 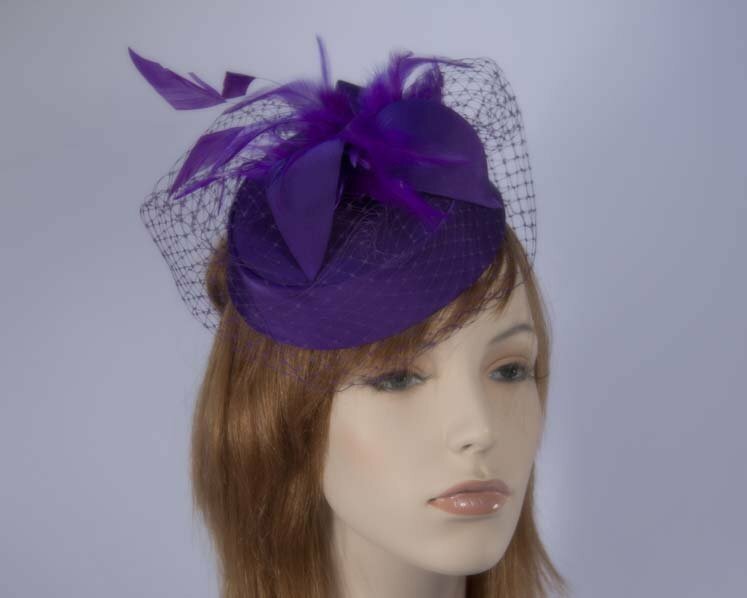 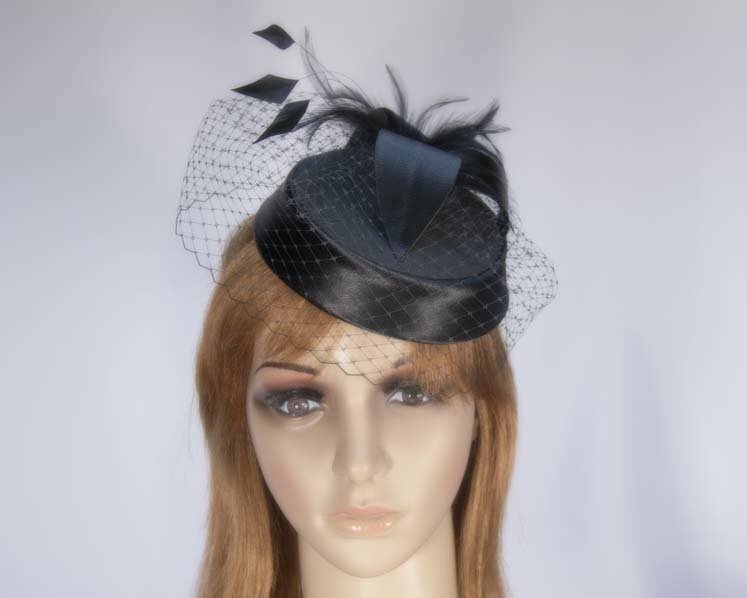 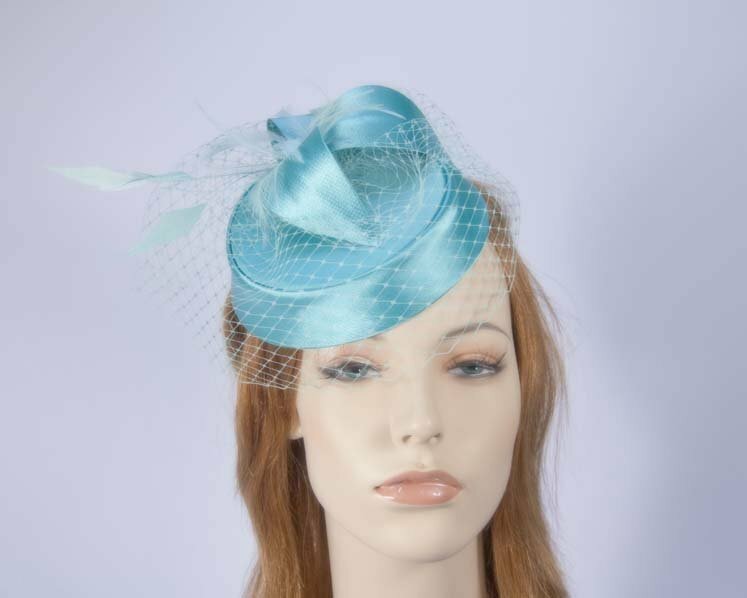 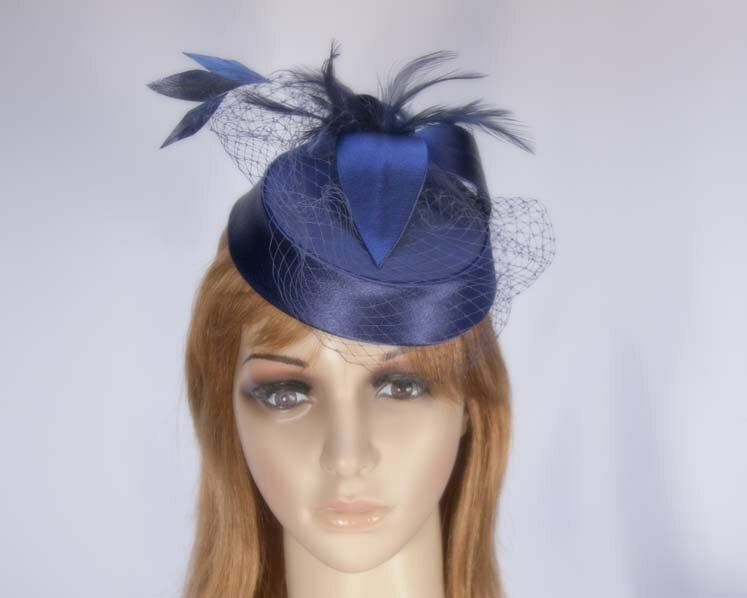 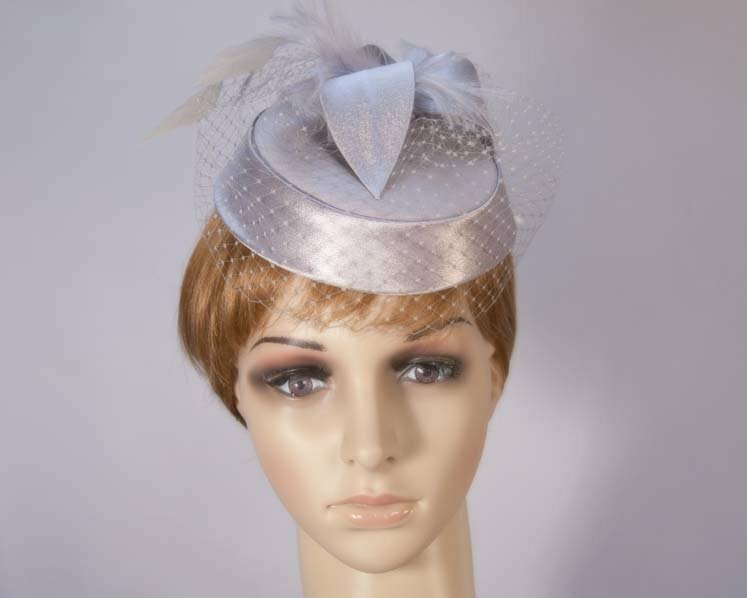 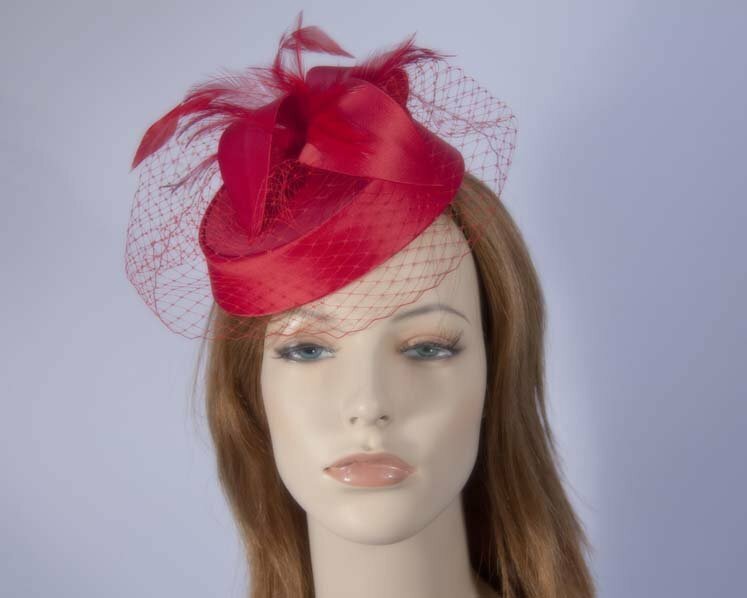 This stunning pillbox is custom made to order from luxurious fabric and we can make it in many colour, making it a perfect choice for cocktail parties, races or mother of the bride outfit. 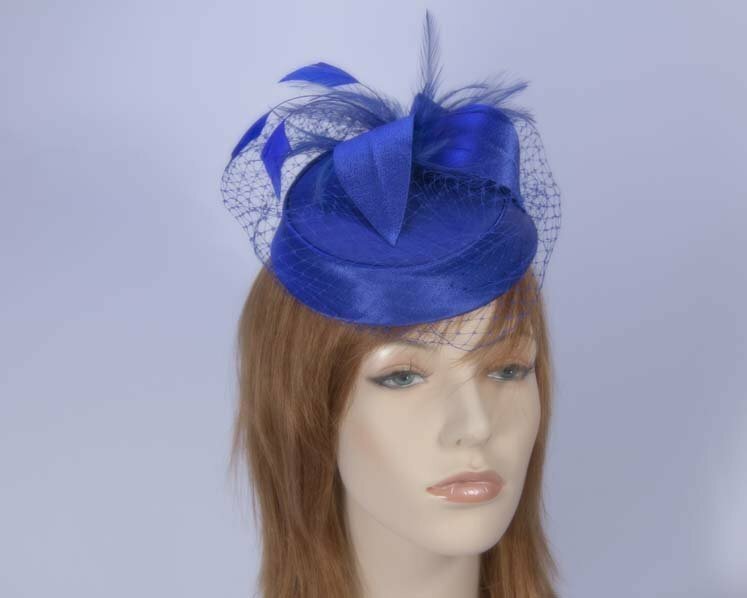 Buy pillbox hats on-line and SAVE!